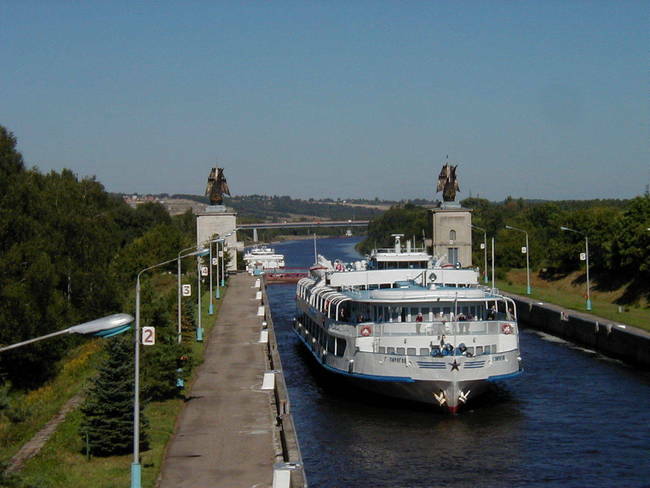 The Commission, created by decree of the Federal Agency of Maritime and River Transport, December 20, 2011 adopted and put into effect after the completion of the reconstruction of the object "Reconstruction of burns of the upper rail of the approach channel and enclosing overpass hydroelectric number 2" Federal State Unitary Enterprise "Moscow Canal." The press service of the agency. Work on the reconstruction of the object were made in 2008-2011. Reconstruction of burns of the upper rail of the approach channel carried out by General contractor FSI "Podvodrechstroy" overpass fencing — General Contractor, LLC "Steel Construction company." In an act of commission for acceptance of the object pointed out that the reconstruction of burns of the upper rail of the approach channel and enclosing overpass hydroelectric number 2 is in full accordance with the state standards, building codes, approved construction documents.